We now know that our 'microbiome', the collection of bacteria, fungi, and other microbes in our gut, form the base of our immune system and govern our physical and mental health. We are what we eat. Watch three presentations from a US doctor, UK scientist and US mother on their expertise and experience with GM. Most GM crops are designed to be sprayed with the weedkiller Roundup (glyphosae). In March 2015 the World Health Organisation's International Agency for Research on Cancer (IARC) found glyphosate to be a 'probable carcinogen'. Monsanto ghostwrote it's supposedly independent safety review and has an army of trolls and relentless PR attempts to silence any critical voice. Roundup was originally approved using studies from a lab called "The Swamp" as animals were so badly looked after they died and decomposed in their cages. Scientists swapped dead animals and made up data. The lab was eventually closed for its fraudulent behaviour but none of the chemicals, including Roundup, that were approved were retested. The Maximum Residue Level - the amount of pesticide allowed in our food - of glyphosate has increased worldwide. In the EU it was increased 200 times from 0.1mg/kg to 20mg/kg. Allowable levels on soy in Australia is 10mg/kg. Rats developed Non-alcoholic fatty liver disease (NAFLD) after exposure to tiny amounts of glyphosate below that allowed in food. You can listen to an interview with the main author of this study, Dr Michael Anotoniou, over at the Non Tox Life podcast. A good summary report can also be downloaded here. Non-alcoholic fatty liver disease is the major liver disease in Australia and even children are now being diagnosed with it. Glyphosate has been found in bread, cereal, baby food, honey, wine and beer. It has also been detected in human urine and breastmilk. The findings of our study are very worrying as they confirm that a very low level of consumption of Roundup weedkiller over the long term can result in liver and kidney damage. Our results also suggest that regulators should re-consider the safety evaluation of glyphosate-based herbicides. Recent US research has indicated that the higher the levels of glyphosate in a pregnant woman's body, the worse the outcome for her baby. Reports of birth defects and illnesses such as cancer in the GM soy growing regions of Argentina have massively increased. A conference of physicians found. The research also shows that the incidence and prevalence of cancer in general triple the ones observed in cities, that oncological patients are younger than expected, that endocrine and respiratory problems double the expected prevalence, and that the impact on reproductive health is impossible to hide. The rate of unexplainable spontaneous miscarriages of wanted pregnancies goes from 10% to 22% in women of reproductive age within a period of 5 years, and the rate of children born with malformations are two or three times higher than the expected rates or those observed in the rest of the country." Maria Liz Robledo and Sabine Grataloup whose children were born with birth defects after exposure to Roundup. Damian Verzenassi, a doctor of public health at Rosario univesity, Argentina, who has organised research on the health in the GM soy growing areas. For an overview of the situation in Argentina's GM soy growing watch this short documentary. US journalist Caitlin Shetterly was diagnosed by a allergist with an allergy to GM corn. Most allergies are caused by a reaction to a protein. GM crops are designed to alter proteins and so may create new allergenic proteins or cause people to develop allergies to existing proteins (also known as cross-priming). An Australian study showed that when rats were fed a GM pea they developed a reaction to egg white which they had not had before. GM crops are created in a way that damages the genome (DNA). These GM crops may be creating toxins or anti-nutrients that have never existed before. GM corn was shown in 2017 to have increased levels of toxins that could also increase allergic reactions when compared with non-GM corn. Dr Arpad Pusztai tested GM potatoes expecting to prove them safe. Instead he found rats fed GM had smaller "brains, livers and testicles while their pancreases and intestines were enlarged. The liver was partially atrophied. Organs relating to the immune system, including the thymus and the spleen showed significant changes. Their white blood cells responded to an immune challenge more slowly, indicating immune system damage. In all cases, the GM potato created proliferative cell growth in the stomach and small and large intestines; the lining was significantly thicker than controls. Although no tumours were detected, such growth can be precancerous. Illnesses and behavioural problems are increasingly being diagnosed, especially in children. US mum Kathleen Hallal, had a son who suddenly refused to put on his left shoe and who regressed at school. She refused drugs to control his behaviour and instead discovered it was an autoimmune condition called PANDA caused by a hidden infection in the brain. He was treated with antibiotics and she then decided to build up his immune system to keep him well. She heard a farmer speak about how GM feed affected the farm animals including causing a higher level of infection. "I took us all off GMOs and sure enough, everyone got better." Pamela London Franck's children had stuttering and lip licking tics. They were found to have an autoimmune illness. They were treated with antibiotics and recovered but started to relapse. After Pamela watched the film the "Vanishing of the Bees" she realised that food and chemicals may be affecting her children. She removed GMOs from their diet and they all got better. Moms Across America has received the testimonials from over 300 people whose health and that of their family has improved when they remove GMOs from their diet. It is impossible to prove causation at present but surely repeated anecdotal evidence of huge improvement in health after the removal of GM foods from the diet indicates an urgent need for investigation. In 2009 The American Academy of Environmental Medicine (AAEM) released its position paper on Genetically Modified foods stating that 'GM foods pose a serious health risk' and calling for a moratorium on GM foods. there is more than a casual association between GM foods and adverse health effects' and that 'GM foods pose a serious health risk in the areas of toxicology, allergy and immune function, reproductive health, and metabolic, physiologic and genetic health. A moratorium on GM food, implementation of immediate long term safety testing and labeling of GM food. 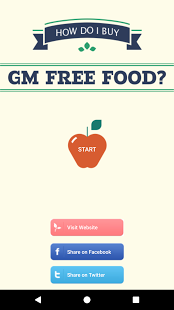 Physicians to educate their patients, the medical community and the public to avoid GM foods. Physicians to consider the role of GM foods in their patients' disease processes. More independent long term scientific studies to begin gathering data to investigate the role of GM foods on human health. Read the full report from the AAEM here. Scientists claim to have found the insecticide in GM corn is now showing up in our bloodstream and the umbilical cord blood of pregnant women. More research needs to be done to confirm these results and until such time, MADGE considers avoiding GM foods as the only SAFE option.